Since 2001, Coach Hamling’s teams have won 8 combined cross country region championships, 2 cross country state runner-up finishes and 2 individual state champions. In track and field Coach Hamling's programs have combined for 13 region championships, 1 state championship (2014), 1 state runner-up and 11 individual state champions. Coach Hamling coached girls basketball at Woodward Academy from 1995-2001. The team won the state championships in 1996 and 1999. Coach Hunt was named the AAAA Georgia Football Coach of the Year for 2014. For the first time since 1997, the War Eagles advanced to the state championship semifinals after capturing the region championship in 2014. Under Coach Hunt the War Eagles have made two semi-final appearances and one quarterfinal appearance. The War Eagles 44 wins from 2013-2016 marks the most successful 4 year span in school history. Coach Hunt came to Woodward after coaching high school football in Florida and serving on Steve Spurrier's coaching staffs in college and professional football at Florida and South Carolina and for the Washington Redskins. He played college football at the University of Florida and played pro football for two years. Coach John Hurston has served the Woodward softball program the past four years as an assistant softball coach. In the 2013-2014 season, he helped lead the team to its first region title in the 25-year history of the program. The girls softball team had its first ever AAA All-State selection and its first ever AAA All-State Honorable Mention during that season as well. During that memorable season, the team had 14 first team All-Region players, the most in a single year in school history. During the 2016-2017 season, Coach Hurston helped the softball team advance to the second round of the state playoffs for the first time in school history. Coach Hurston has also been a baseball coach for the past nine years, with five of those coming at Troup High school, and he is currently beginning his fourth year as a baseball coach at Woodward Academy. In addition to coaching, Coach Hurston teaches P.E. at Woodward Academy Primary School. Coach Sahara has helped lead the Lady War Eagle Volleyball team to five of its 10 state championships (2004, 2005, and 2008 – 2010) and 11 final fours. He is the founder of Tsunami Volleyball, a locally and nationally competitive Atlanta-based club program for which he also coaches. Coach Malia Raley has been coaching at Woodward Academy since 2014. Each team under Coach Raley has made the state competition, and in 2016, the squad won a region championship. Coach Raley has an extensive cheerleading background, both sideline and competition, and has won multiple state and national titles as a competitor and a coach. A graduate of Florida State University, Coach Raley teaches history in the Upper School. In addition to coaching Competition Cheerleading, Coach Raley is also the Wrestlerette Coach. In just three short years since the program began, Coach Underwood has led the clay target team to win the 2014 GISA clay target state championship, and state runner-up in 2015. In addition to clay target, he has served as assistant coach for wrestling, football and track at Woodward Academy. Coach Underwood played Division 2 football as a defensive tackle at Fairmont State College in Fairmont, W.V., and was a Division 2 wrestler at West Liberty State College in West Liberty, W.V. The boys swim team won the state championship in 1987 and state runner-up in 1985, 1986, 2001, and 2003. In 1983 and 1988, Coach Greaney was named the National High School Coaches Association Swimming Coach of the Year. He was named the Georgia High School Association’s Swimming Coach of the Year in 1988 as well. Woodward's Class of 2000 graduate Kim Lawrence has been the head coach for girls basketball since 2012. A graduate of Furman University, Kim played professional basketball in Holland for 2 1/2 years. Under her supervision, the Lady War Eagles have amassed a record of 52 wins and 37 losses with annual appearances in the state tournament as well as making it to the elite eight. As a member of the 1999 state championship basketball team, Kim looks forward to bringing that tradition back to Woodward. A 2008 Woodward graduate who swam for the varsity team while in school, Coach LeFevers attended Furman University for her undergraduate degree, where she was a member of the club swimming team. After completing her Bachelor of Arts degree in education, she attended the University of Michigan for her Master of Arts in teaching and learning. While at Michigan, Coach Lefevers swam for a Masters swimming program in Ann Arbor. Coach LeFevers has also worked at Swim Atlanta for several years, in addition to being a part of Swim Atlanta’s Masters swimming team. For the 2015-2016 season, Coach LeFevers served as an assistant coach for Woodward’s varsity girls’ swimming team. Since taking over the helm as head coach at Woodward Academy the team has accrued 77 wins, 7 state place winners and 1 state champion. In addition, the team has won region duals and area tournament titles, qualified for the state duals twice and finished top 5 in 2016-17. Jeff also serves as the freestyle head coach for Team Georgia and helped coach Georgia's first team national title. Prior to arriving at Woodward, Jeff Ragan served as the associate head wrestling coach at The Citadel for 14 seasons, helping send 32 Bulldog grapplers, including four All-Americans, to the NCAA Championships. Ragan also helped coach the Bulldogs to a Southern Conference Championship in 2004 and a top 20 NCAA finish in 2013—all while mentoring 15 Academic All-Americans and multiple top 20 All-Academic teams. During his off-seasons, he has coached wrestlers and fellow coaches in the freestyle and Greco-Roman styles to All-American honors and even the 2012 Olympic Games. A former adjunct professor of mathematics, Ragan received a Masters of Arts in Teaching Mathematics from The Citadel and a bachelor’s degree from Oklahoma State University, where he was a four-year wrestling letterman with more than 100 career wins and a member of three Big XII Conference championship teams. As a senior, Ragan earned All-American honors at the NCAA Championships, received the honor of Oklahoma State Male Student-Athlete-of-the-Year, and joined the National Wrestling Coaches Association's Academic All-American team. Ragan also is a four-time freestyle All-American, FILA national champion, and FILA world team member and placer. Coach Thomas’s boys basketball team won the region championship in 2012 as well as region runner-up in 2011 and 2015. Other team achievements include: state qualifier, 2011, 2013, 2014, and 2015; Elite Eight, 2013; and Sweet Sixteen, 2011 and 2015. Coach Thomas played basketball for Woodward Academy as a student between 1994 and 1998 and for Furman University between 1998 and 2002. He was named to the Woodward Academy Athletic Hall of Fame in 2015. A 2000 Woodward Academy graduate, Coach Linsey Troutman has a vast cheer background as a Woodward Academy high school football and competition cheerleader. In addition, Coach Troutman was both a collegiate and all-star cheerleader. 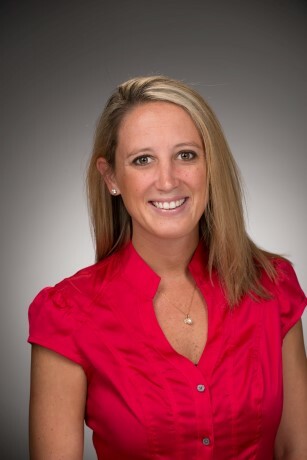 A graduate of Emory University and Walden University, Coach Linsey also serves as one of the Upper School nurses. Coach Armstrong joined Woodward Academy as the head girls lacrosse coach in 2017. Before arriving at Woodward, Armstrong was appointed head girls lacrosse coach at Lambert High School in 2009. She served as the head coach for the varsity team for six seasons, guiding the growing program into two state playoff appearances and most recently competing in the AAAAAAA state semi-finals in 2017. In the summer of 2017, Coach Armstrong organized and led an international women's lacrosse camp in Stockholm, Sweden, in which eight countries were represented in participation. Coach Armstrong also served as assistant lacrosse coach for The Westminster Schools from 2004-2008, where she was named GACA Area Assistant Coach of the Year for four consecutive years (2005-2008). While Coach Armstrong was there, Westminster went to the Georgia state playoffs four times and won the Georgia state title in 2004. Coach Armstrong also has served as head coach at Roberts Wesleyan College, a NCAA Division II team, and is currently the club coach for local Atlanta team Eagle Stix. As a player, she was a midfielder at Alfred University. Coach Kirschner became the head coach for the Ultimate Frisbee program starting with the 2016-17 season. During his inaugural season, both the boys and girls teams showed steady and significant improvement from the start of the practice through the state tournament, eventually being eliminated in the quarterfinal round. Coach Kirschner's background in Ultimate goes back to 1997 when he became a member of the Georgia Tech Ultimate Team. He was a starter on that team for 2 seasons. Prior to coaching ultimate, Coach Kirschner spent 5 years coaching JV and Middle School girls soccer. Coach Fritts is a 1983 graduate from Woodward and is in his 27th year at the Academy. He has been the only head girls golf coach in the school’s history, dating back to 1998 when girls golf started in the state of Georgia. During his tenure with the girls program, they have won 16 region championships, five state championships (most recently in 2016), and have finished as the state runner-up five times. The program has produced three individual state champions and 16 college players, including one LPGA player. Coach Fritts was also the head wrestling coach for 19 years and complied 21 Region/Area titles and won the AAA State Championship in 2013. He was inducted into the Georgia Wrestling Hall of Fame and was also an inaugural member of the Woodward Athletic Hall of Fame. Coach Fritts also serves as the assistant cross country coach, and has been with the program since 2007. Under Coach Greaney, the boys golf team won the state championship in 2013; state runner-up in 2003 and 2009; and region champ in 1998, 1999, 2001, 2003, 2004, 2008, 2009, 2012, 2013, and 2015. Coach Greaney was named the 2013 Georgia High School Association Golf Coach of the Year. Matt Holmes enjoyed a professional career with the Birmingham City, Kettering Town, and Belper Town Football Clubs. He represented the youth regional and national levels with Nottinghamshire FA and English Schools Football Associations as well as the British Universities & Colleges of Sport. Matt has served as Men’s Assistant at MU, UAH, Director of Coaching for the Huntsville FC, as Academy Director of the Atlanta Spurs, and with the Atlanta Silverbacks Elite Youth and W-League. Matt coached at GSA in the ECNL program leading the 99's as high as 20th in the ECNL National Rankings, 2012 & 2014 top four finishes in S. East conference, 2015 runner-up in S. East conference, won the ECNL National Event in FL record 3-0, and qualified for the ECNL National Championships three consecutive years. He serves as the Managing Director for Chiefs FC and ODP 05 Girls Head Coach. Matt is a five time High School State Coach of the Year, received one NSCAA Coach of the Year Award and one NFHS National Coach of the Year Award. In a 10-year high school coaching career, he has led teams to a decorated three state championships, four state finals/runner-ups, one final four, and eight region championships. Matt has guided more than 50 players into collegiate, national, and professional programs. His extensive background has garnered two publications in World Class Coaching, the world's leading magazine for soccer coaches. Coach Elliot came to Woodward after serving four years as an assistant coach for Mercer University’s women’s soccer team. At Mercer, she was part of the 2014 Southern Conference championship team that earned a berth in the NCAA Division I tournament. During her time at Mercer, she coached 11 players who received all-conference recognition for their success on the field. Before coaching, she played four years of Division I soccer at Mercer, where she was a two-time all-conference player and won two conference championships. She graduated from Mercer with a bachelor’s degree in education and later earned a master’s degree in education. Coach Elliot is a 2007 graduate of Woodward where she played softball, basketball, and soccer, winning a state championship title in soccer. She holds a United States Soccer Federation “C” license. In addition to her coaching duties, Coach Elliot is a math teacher in both the Upper School and Middle School. 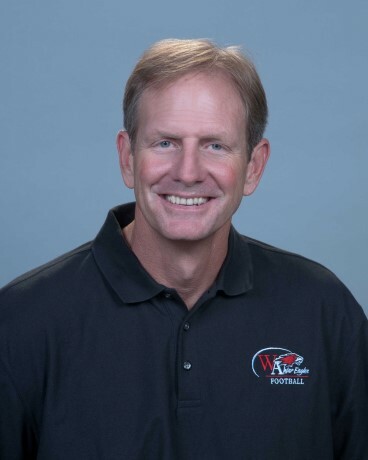 Coach Westlund has been coaching at Woodward for over a decade, and has been the varsity head coach since 2013. During his first year, the team won the Region Championship and were state runners-up. Since then, Westlund has led the team to the region finals and the state quarterfinals. He began with the tennis program as the JV girls coach before moving to coach the Middle School boys team for the next five years. During those years, the boys team had a record of 24 wins and only 8 losses. Westlund is focused on creating and maintaining a tennis program that is dedicated to producing competitive teams while helping students develop character and commitment to Woodward. Over almost 30 years, Coach McWhorter has coached various sports including softball, soccer, and girls basketball. For the past seven years, she has coached the girls tennis team, for six years as assistant coach and for one year as varsity head coach. In her first year as head coach, the team won the state championship. She has six state championship rings for coaching and was inducted into the Woodward Athletic Hall of Fame as assistant coach for the state championship 1996 girls basketball team. She loves coaching for the relationships she has shared with fellow coaches and student-athletes. Since 2001, Coach Hamling’s teams have won 8 combined cross coutnry region championships, 2 cross country runner-up finishes and 2 individual state champions. In track and field, Coach Hamling's programs have combined for 13 region championships, 1 state championship (2014), 1 state runner-up and 11 individual state champions. Coach Hamling coached girls basketball at Woodward Academy from 1995-2001. The team won the state championships in 1996 and 1999. Woodward Academy's program has made the state playoffs every year since Coach Pons has taken over the program. Coach Pons has an extensive background in lacrosse being born and raised in Baltimore, MD. In addition, Andy serves as the Director of Lacrosse Operations for Thunder lacrosse, a premier club lacrosse program in the southeast. Coach Pons graduated in 1998 with a degree in physical education from McDaniel College, where he was a three sport athlete playing soccer, basketball, and lacrosse. In high school Andy won the athlete of the year in 1988, was a three sport All Metro athlete and is a member of his High School Hall of Fame. Prior to taking Woodward Academy's program, Andy spent two years as an assistant coach with the Boston Cannons working under Hall of Famer John Tucker. Coach Pons has spoken at numerous coach's conventions and clinics around the country having recently presented at the US Lacrosse Georgia coaches clinic in January. Coach Pons has been married to his high school sweetheart Chrissy for twenty-seven years and has three children. His middle son, Mac, played lacrosse at the University of Maryland, where he and the Terps won the 2017 National Championship. Coach Wimby joined Woodward Academy’s coaching staff as the girls ultimate head coach in 2017. He is returning to the Academy after graduating from WA in 2011. In addition to his ultimate coaching responsibilities, Coach Wimby also acts as an assistant 9th grade basketball coach. As a student-athlete, Coach Wimby played college basketball at Reinhardt University.